At just $69 with 4K HDR, voice search, and Google Cast capabilities, the Mi Box is the first Android TV device with mainstream appeal. Xiaomi’s Mi Box, the cheapest 4K HDR streaming box on the market, comes from two names you might not be familiar with. 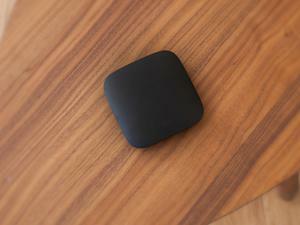 The box is built by Xiaomi, a Chinese electronics vendor that has largely avoided the U.S. market until now. As for the software, the Mi Box runs Android TV, a big-screen operating system Google launched a couple years ago, then promptly began neglecting in favor of the more popular Chromecast. 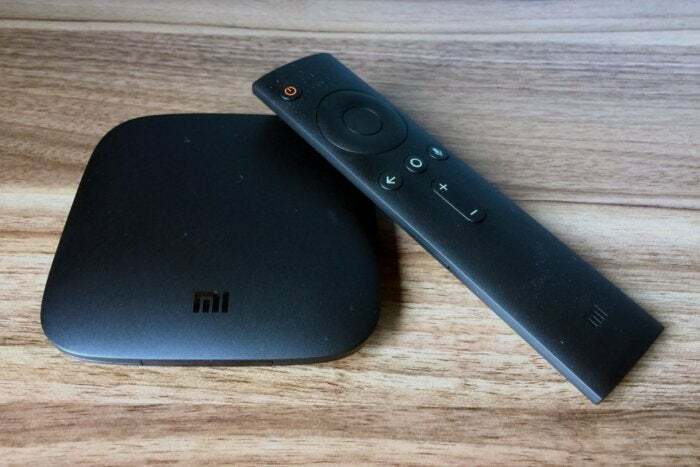 The Xiaomi Mi Box is the first new Android TV streaming box since mid-2015, and it comes with a strong pitch: For $69, you get 4K HDR video, a voice-controlled remote, a speedy processor, and Google Cast built-in. That simple formula goes a long way toward covering up some of Android TV’s deficiencies. The Mi Box is surprisingly compact, running four inches wide and deep, with a tapered design that’s about a quarter-inch thick. It’s smaller than the latest Apple TV, Amazon Fire TV, and Roku Ultra and Premiere boxes, yet it has some robust tech specs including a 2.0GHz quad-core processor, 8GB of storage, 2GB of RAM, and 802.11ac Wi-Fi. Apps load quickly, with no major performance hiccups even in heavyweight apps like PlayStation Vue. The box includes a 3.5mm analog, S/PDIF output for headphones or digital audio connections, and while there’s no built-in ethernet port, the full-sized USB port supports USB-to-ethernet adapters, along with external storage drives and game controllers. Google has even been experimenting with USB tuner support in Android 7.0, which in the future could allow users to watch and record over-the-air antenna channels through the set-top box. The Mi Box has a USB port, HDMI output, and audio output for headphones and S/PDIF connections. As for the remote control, Xiaomi aims for minimalism. There are no fast forward, rewind, or pause buttons—those functions are just built into the directional pad—nor are there menu or app shortcut buttons like you’d find on a Roku remote. The Mi Box remote does include volume controls, which you can adjust up to the maximum you’ve set on your TV, and a power button that puts the box to sleep. Those are worthy trade-offs in my view. My only gripe is that the remote’s sharp edges can dig into your palms depending on how you hold it. Where the Mi Box starts to falter is with the Android TV operating system. Android TV also has built-in Google Cast support, which lets you launch videos from streaming apps on phones and tablets, and from websites in Google’s desktop Chrome browser. This helps fill in some gaps from Android TV’s native app catalog, and can be faster than thumbing through menus with a TV remote. Still, Google’s living-room platform never rises above mere adequacy. It’s lacking the pleasant touches found on other streaming boxes, such as the private headphone listening on Roku’s remote controls and mobile app, or the Alexa virtual assistant built into Amazon’s Fire TV devices. Android TV also fails to execute on some of its more ambitious ideas. The Recommendations bar that sits atop the home screen is largely useless, with limited participation from streaming services, no sorting options, and a tendency among some apps to be clueless about what they’re suggesting. (WatchESPN, for instance, keeps offering days-old football reruns instead of live sporting events.) 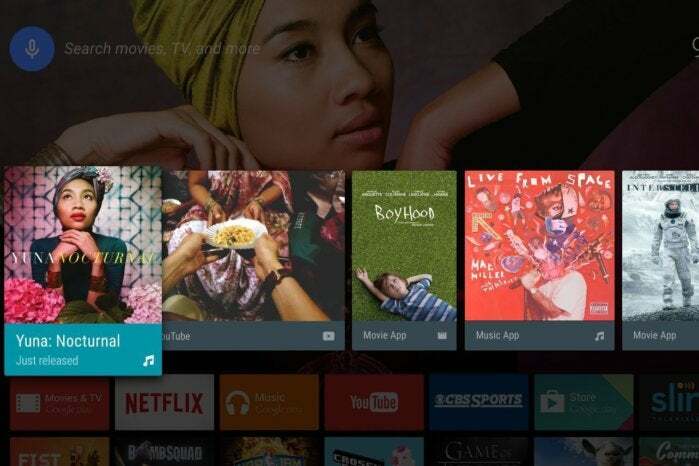 Android TV’s Live Channels app, which is supposed pull live video sources into a unified channel grid, is similarly stunted, with support from only six streaming apps. Sling TV and PlayStation Vue don’t make their live feeds available, and Pluto.tv channels consistently fail to load. 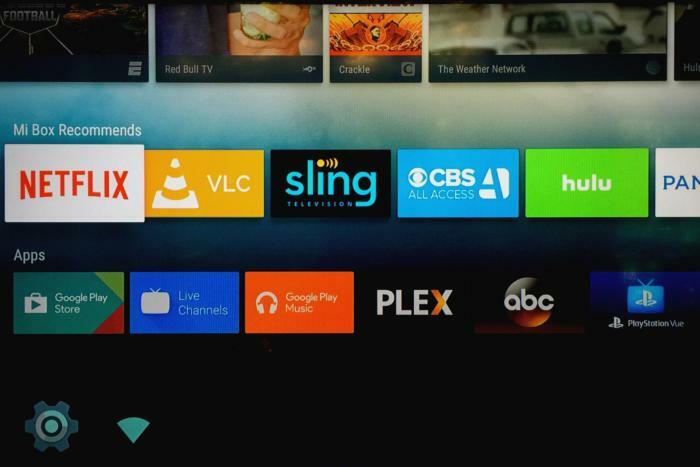 Android TV’s Recommendations row is a smart idea that’s rarely useful in practice. Even Google seems to treat Android TV as an afterthought. There’s no Google Photos app on the Mi Box, YouTube’s design is out of date compared to other TV platforms, and the Google Play Music app lacks ad-supported radio stations. And while voice search is a powerful feature—supporting complex queries like “80s comedies” and showing results from across different apps—it could really use a visual overhaul to streamline the long list of results it generates. Better yet, it could act more like the virtual Assistant that’s built into the new Google Home connected speaker. One other caveat with the Mi Box in particular: It comes with some bloatware in form of 16 “Mi Box Recommends” app links. The apps aren’t all installed to begin with, and while they are removable, you have to install them before you can uninstall them. They also occupy a separate space from your main app list, making navigation a bit more confused. Pre-installed apps like Netflix aren’t allowed to mingle with your regular app lineup. Who’s the Mi Box for? At least for streaming devices like the Mi Box, Android TV still has the air of an enthusiast platform. It’s rough around the edges, but it allows tech-savvy users to sideload any Android app they want, and it supports the popular media player software Kodi. For gaming, you can install all kinds of console emulators to create your own retro gaming box. USB TV tuner support could also be a boon for cord cutters, assuming Google finalizes it, and Xiaomi upgrades the Mi Box to Android 7.0. 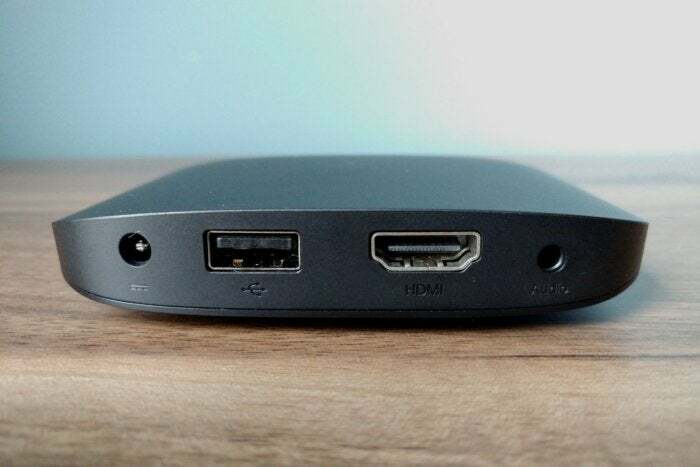 The $69 Mi Box, however, is the first Android TV streamer whose appeal reaches beyond tech enthusiast circles. Though it fails to offer the flourishes and forward-thinking ideas of other streaming platforms, it succeeds as a cheap streaming device with 4K HDR video, solid performance, and voice search. Those same features would cost $30 more on a Roku, and Amazon’s $90 Fire TV doesn’t support HDR video at all. The Mi Box even matches the price of Google’s own Chromecast Ultra, while offering a proper remote and big-screen interface. On top of all that, you can buy the Mi Box at Walmart, the largest brick-and-mortar retailer in the United Sates. Maybe that’s enough to put Xiaomi—and Android TV—on the map. The Xiaomi Mi Box's $69 price tag and 4K HDR streaming help paper over Android TV's shortcomings.